Often, during the process of initiating new projects, it seems that agreed budgets come under pressure. This occurs particularly when the newly appointed project manager and client are reviewing where the monies are to be spent when one of the the first things to be questioned and, often subsequently removed, is the cost of training. While the training budgets are an easy target for cost cutting on many projects, can become a false economy when measured against the overall project objectives. The review process goes something like this; as the budget comes under scrutiny, the project team tries to push training costs onto their parent organization, arguing that the project is only temporary. They argue that the parent organisation is permanent and as such will get long term benefits from the training. The parent company usually then pushes back on this attempt, saying that the project delivery group, whether internal or external, should bear costs of training since the training is for their project, and so it goes on. 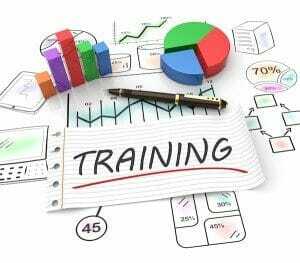 The next target to accept the training costs is the client, who again will usually advise the project team that the costs should be in their budget since the project team and their parent organisation will reap the long term benefits. And so the cycle continues until either one party accepts the costs, a compromise is reached to share them somehow, or the bulk of the proposed training is removed from the project. However, I would argue that the benefits of the training are so tangible for all parties that the real question should not be how to minimise the volume and associated cost of training, but how much training can the combined group provide to get the best trained and efficient project team possible. In survey after survey, the item listed as the biggest incentive for many personnel, in both project and corporate roles, is access to training and personal development. So, spending on training makes employees happier and more committed to the project. For the parent organization, a more highly trained project team will be more efficient and deliver the project to a higher level of satisfaction for the client, reducing delivery risk, enhancing the parent company bottom line and reputation as a forward looking organisation that employees want to work for. Finally, for the client, a more effective project team, on both their and their contractors sides, will deliver their project with less risk, more reliability and a better chance of improved benefits being realised from the project. So, if the parties can agree on paying more for training to obtain the highest benefits for the project, the next question is where to spend the money. For most technical projects, the team will be inclined to spend the money exclusively on technical development, such as more technology tools, specific technical design skills and training in the use of the new tools etc. Communication skills are usually, therefore, put at the bottom of the list and clasiffied as “soft skills” that everyone already has, yet training in just these skills can deliver quick and easy benefits that will enhance all aspects of the overall delivery of the project. A team which is better equiped to communicate with one another, both internally and externally, will be a more efficicent team; meetings will become more productive, there will be less repetition of work since everyone will be more aligned to the project goals, error rates should reduce since personnel will be more aware of what their colleagues are doing, and as such will be more inclined to work on tasks which benefit the work or the collective team rather than tasks which may conflict or compete with other members of the project team’s work. In essence then, I would argue that communications training is a low hanging fruit as far as benefits realised relative to cost expended for any project, whether undertaken by a co-located or virtual team. Something to think about the next time you are in a project budget cutting meeting and the cost of training comes up for discussion. Do you have any experiences with language challenges in teleconferences you would like to share? If so, we would love to hear from you.